Lakeside Sports Medicine Centre is conveniently located inside the iconic Melbourne Sports and Aquatic Centre, offering our athletes access to a multidisciplinary team of highly trained health professionals. They regularly treat a range of conditions from acute sporting injuries to chronic pain symptoms as well as assisting patients with rehabilitation and aim to provide a complete care plan, tailored to suit the individual. The various modalities available at the clinic include Sports Medicine, Physiotherapy, Podiatry, Myotherapy, Dietetics and consulting Orthopedic Surgeons. The staff at LSMC are passionate about providing the highest level of clinical expertise to Tri-Alliance athletes. Let’s find out a little more about who’s there to look after you! Nick has been involved in elite sport both as a therapist and as an athlete for many years having represented Australia in European Handball and as cyclist in Europe. Being involved with elite athletes allowed Nick to further expand his knowledge and skills and get a better understanding of sports injuries and rehabilitation process. 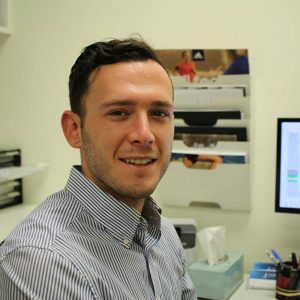 Nick currently works Melbourne Football Club, as a myotherapist and sports trainer. 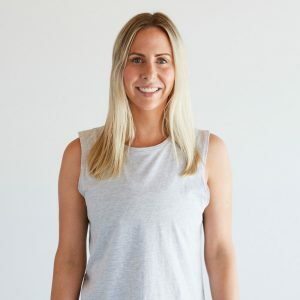 Jacinta has since worked in private practices with a large emphasis on Clinical Pilates, and has found particular interest incorporating this pilates training into the rehabilitation of sporting injuries. 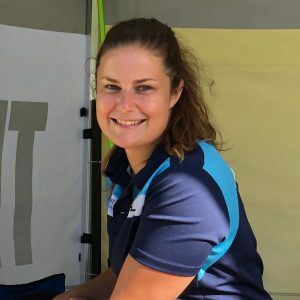 During this time she has had physiotherapy experience with the Western Bulldogs AFL team and now works as a physiotherapist with the University Blues Amateur Football Club in the VAFA league. Jordan has extensive experience in treating recreational and elite sports injuries completing a Physiotherapy internship at the Newcastle Knights Rugby League Club and moving into the Rehabilitation Co-ordinator role for the Juniors and High-Performance Unit programs. She is currently the Lead Physiotherapist for the Senior National Premier League and National Youth League teams at Melbourne Victory Football Club . She has a passion for treating both elite and everyday athletes. Jordan enjoys working with clients towards achieving their goals. AVAILABILITY – Tuesday, Thursday & Friday mornings | Every 2nd Saturday starting 2nd Feb.
Con was part of the medical team during the 2018 Commonwealth Games in Gold Coast where he was based at the hockey centre providing physiotherapy services to players from all countries. 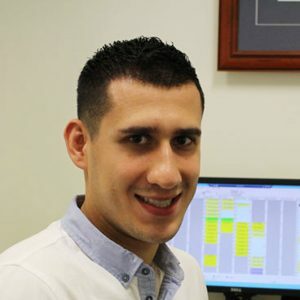 He has many years of experience working in private practice and has developed a passion for treating sports related injuries, working closely with his patients to help them achieve their goals. Having completed further training in advanced assessment and rehabilitation of the shoulder, hip, groin and knee, superficial dry needling and Clinical Pilates, Con is well equipped to help any client with any problem they might present with. George has developed a particular interest for sports and spinal injuries, having undertaken postgraduate studies in both areas. He is also a qualified Clinical Pilates instructor, which he finds helpful in assisting his patients with performance and injury prevention. 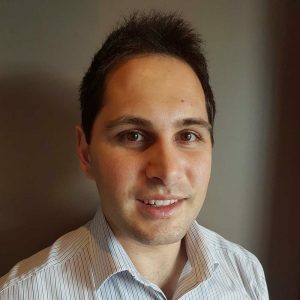 George is currently the physiotherapist for an amateur AFL club in the VAFA and has worked for a range of clubs within the VAFA and WRFL. Alongside AFL athletes he enjoys treating runners and analysing and correcting running technique for optimal performance. Steve has worked across athletic populations from recreational to elite level in AFL, rugby, soccer and triathlon. His post-graduate studies and sport teams experience has helped him develop advanced assessment and treatment skills for the athletes from his time in both the UK and Australia. He has a special interest in the treatment of recurrent sporting and running related injuries. Steve works part-time for Western Bulldogs as the VFL head physiotherapist and before this time was the head physiotherapist for Coburg Lions VFL club. 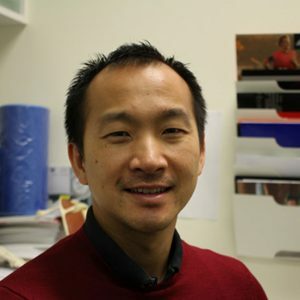 Khanh is a Senior Physiotherapist at Lakeside Sports Medicine Centre with a strong interest in sports physiotherapy. 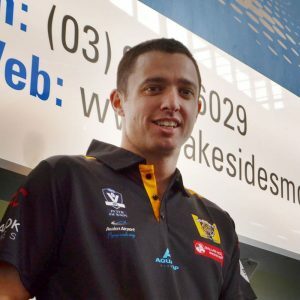 Since moving to Melbourne in 2008, he has embraced Victoria’s love of AFL, having been involved with Norwood in the EFL and been a physiotherapist for the Eastern Ranges TAC Cup Team. He has also assisted the Brisbane Roar on their Melbourne A-League matches and is #1 consultant for Tri-Alliance athletes. Simon has broad experience working with both recreational and elite level athletes. He has a particular interest in hip joint pathology and the management of chronic groin, hamstring and hip pain in athletes. He also works closely with the Lakeside SMC Sports Physician’s to prescribe optimal exercise and strength programs for the management of chronic tendon pain. Simon has completed his Master of Exercise Science (strength and conditioning) at Edith Cowan University and is passionate about maximising exercise loads whilst dealing with injury. 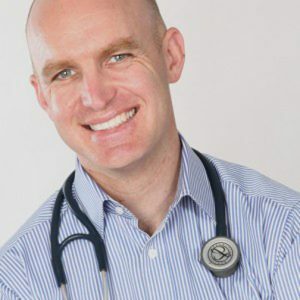 Given his experience in elite level sport Simon is able to provide cutting edge assessment and treatment techniques to ensure that patients are able to perform at their best. Dr. Kade Paterson is Lakeside Sports Medicine Centre’s senior podiatrist. Kade’s expertise lies in managing difficult foot and lower limb injuries in professional, amateur and recreational athletes of all ages and abilities. He deals with exercise-related foot and lower leg pain, as well as other foot pathologies such as skin and nail conditions. He has worked widely with a number of elite football and basketball clubs, tennis players and track and field athletes. 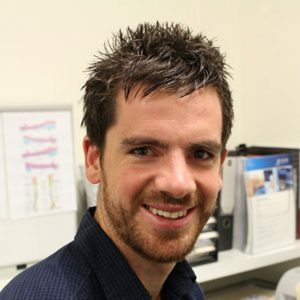 Kade also currently holds a Post-doctoral Research Fellowship with the Centre for Health, Exercise and Sports Medicine (CHESM) at The University of Melbourne, where he works part-time researching conservative treatment options for musculoskeletal conditions such as osteoarthritis and plantar heel pain (plantar fasciitis). This combination of clinical and research experience ensures that Kade’s patient care is based upon current therapeutic research and practice within podiatric sports medicine. His academic position at The University of Melbourne also brings a strong understanding of the many of other factors that can contribute to injuries in athletes. Dr. Dan Bates is one of the Sports and Exercise Medicine doctors at Lakeside Sports Medicine Clinic. He has worked for various Australian sporting teams and professional football clubs across multiple codes. His clinical time finds him at Lakeside Sports Medicine Centre and Metro Spinal Clinic treating a large range of musculoskeletal injuries with a particular focus on osteoarthritis and chronic pain. 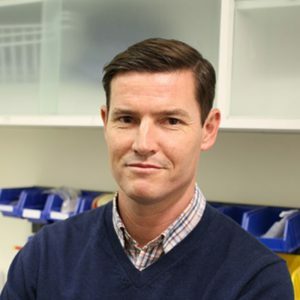 His research has seen him work with The Australian Catholic University and Monash University in the area of osteoarthritis and continues in the use of stem cells for the regenerative treatment of osteoarthritis. Dan has presented both nationally and internationally on a large number of sport and exercise medicine topics and, more recently, on stem cell based therapies.